Pastel hues with hints of sparkling silver were the color palette for our gorgeous bride and groom. 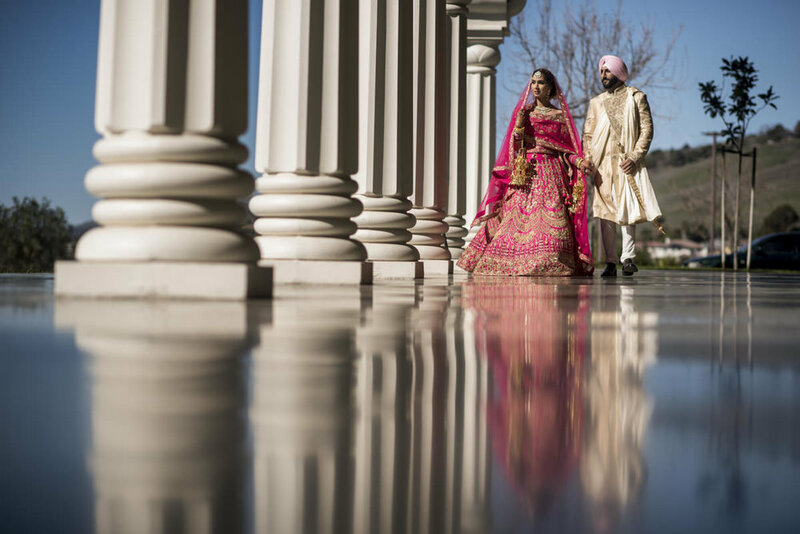 Designing Aman & Navneet’s events were one of our favorites this year, thus far. Who doesn’t love a couple who knows exactly what they want? For the wedding, we designed a whimsical yet glamorous sweetheart table at the luncheon with suspended roses and greens. The tables was adorned with pastel rose linens and complemented with classic style floral arrangements in blush pink, ivory, and purple hues. The color palette followed into the reception the next day while we brought the outdoors indoors. A twelve-foot hedge wall carried their initials A & N with florals across the top and finished the look with scattered roses on the entire wall. 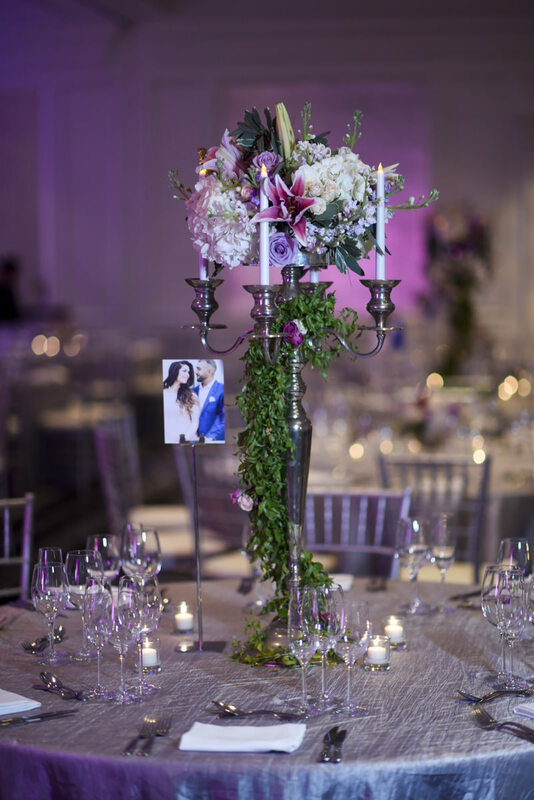 The grand ballroom was covered in lit candelabras with cascading florals on half the tables, while the other half took on a classic style floral centerpiece finished in silver antique urns. The guests enjoyed libations and hors d'oeuvre in the cocktail area with ceiling height draping and lounge seating. We were honored to be a part of Aman & Navneet’s decor and enjoyed their unique sense of style.